The botanical blend contains Liquorice root and Ginseng to aid alertness, vitality and cognitive perfomance. A berry flavoured daily oral spray providing CBD and other botanicals. 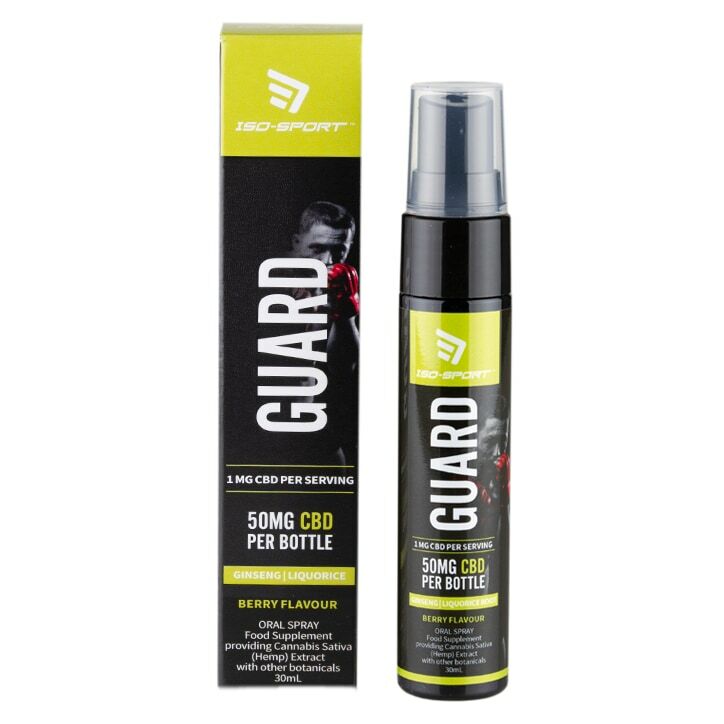 Iso-Sport GUARD oral spray (berry flavour) delivers CBD and a blend of botanicals. Take 3 sprays twice daily by mouth. Spray directly into the mouth, hold for 20 seconds, then swallow. Do not exceed the recommended daily intake. Botanical Blend (Panax Ginseng, Astragulus Mebranaceus Root, Angelica Sinensis Root, Arillus Longan, Liquorice Root (Glycyrrhiza Glabra ), Glycerin, Purified Water, Hemp Blend (Purified Water, Olive Oil, Sunflower Lecithin, Cannabis Sativa L. (Hemp) Extract [Heneplex]), Preservative (Potassium Sorbate), Acid (Citric Acid), Natural Flavouring, Preservative (Sodium Benzoate).